An FIR has been registered against Omar Lulu, the director of upcoming Malayalam film ‘Oru Adaar Love’ over the lyrics of ‘Manikya Malaraya Poovi’, one of the songs in the movie. 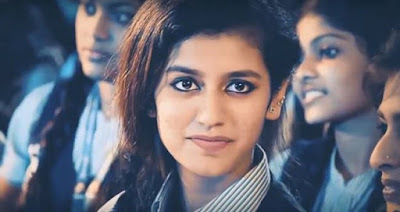 The complainants, Zaheer Ali Khan, Muqeeth Khan, residents of Falaknuma in Hyderabad, alleged that the Priya Prakash Varrier’s song, which has become an internet sensation now, when translated to English, hurts the sentiments of Muslims as it makes derogatory references to the Prophet. They have demanded that either the song is removed from the film or the lyrics are changed. “When I first saw the viral video I fell in love it. I watched it so many times and shared it many times. I wanted to know the meaning of the song so I got the original Malayalam lyrics and translated it online and also took help of some people. I found that the song referred to the romance between the prophet and his wife Khadija. It is inappropriate and an insult to the prophet. I showed it our elders and we decided to lodge a complaint. I am not against the film or the actors. I am not against the film’s release also. We are only protesting against this song because it hurts sentiments of Muslims,” Muqeeth told The Indian Express. “Following the complaint, we took legal opinion and subsequently a case under IPC section 295A (hurting religious sentiments) has been registered against the film’s director, Omar Lulu,” Assistant Commissioner of Police (Falaknuma division) Syed Fayaz told PTI. As part of their investigation, the police will take the opinion of some Islamic clerics on this after getting a translation of the song, he said. “We will proceed based on their opinion… If the song has really hurt the sentiments then definitely action will be initiated against those involved,” the ACP said. ‘Manikya Malaraya Poovi’ is a famous mappila paattu (a native genre popular among the Muslim community) that was originally composed by Thalassery K Refeeque to the lyrics penned by PMA Jabbar. The song in the movie has been produced by music composer Shaan Rahman and actor-playback singer Vineeth Sreenivasan — the duo behind global hit song ‘Jimikki Kammal’. ‘Oru Adaar Love’, starring Siyadh Shajahan, Priya Prakash Varrier, and Noorin Shereef, is slated for release on March 1 this year.